Roma is a deep Golden Brown colour, with a dark brown base blended with warm golden reflects for a sun-kissed, vibrant multi-dimensional colour finish. 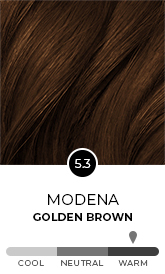 This colour will look different in different light – sunlight will bounce off the golden reflects, giving you a summery golden glow. 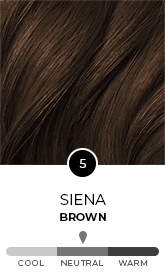 The dark brown base keeps it grounded in the brunette zone, with the warm gold primary reflect shining bright in the sun. If you are looking for warmth, but you are wanting to avoid visible red undertones, Roma is a great option as it does not have red or copper reflects.